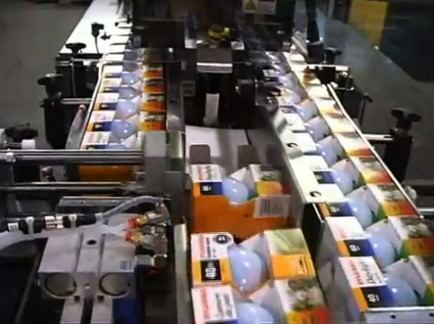 Continental specializes in providing you with the perfect custom systems to meet your packaging requirements. 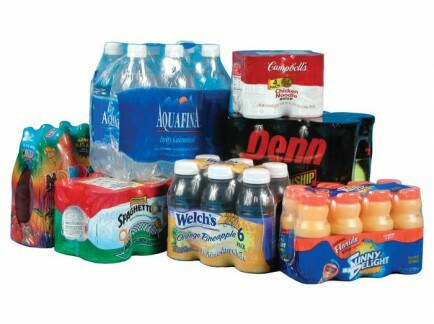 Supporting Wulftec’s philosophy , “We Fear No Packaging Challenge”. 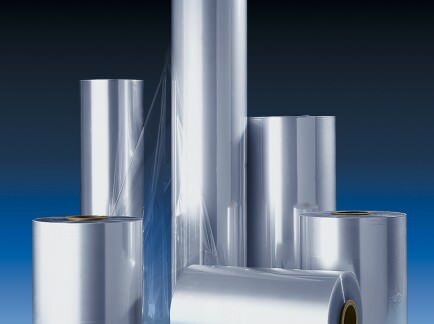 As one of the largest distributors of stretch wrap equipment and films we represent only the finest lines of machinery and film brands. 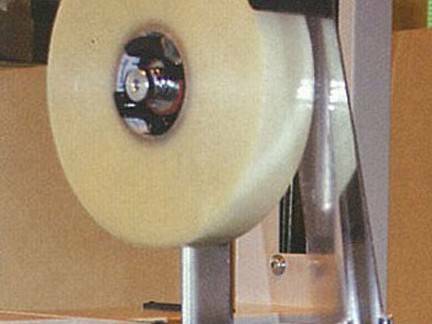 For customers who already have stretch systems in place, we excel in matching your machinery and load to the perfect film and settings. 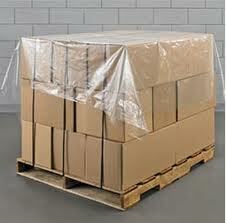 This provides you with the best packaging integrity at the lowest cost per unit load shipped. 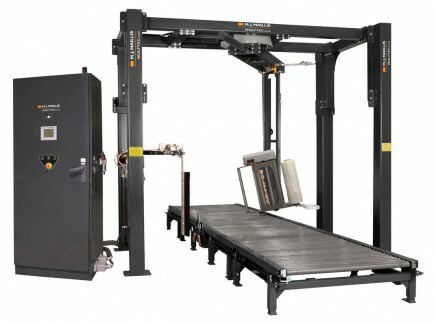 Free standing semi-automatic Heavy-duty rotary arm stretch wrapper with integrated floor mounting and 25" ring gear. 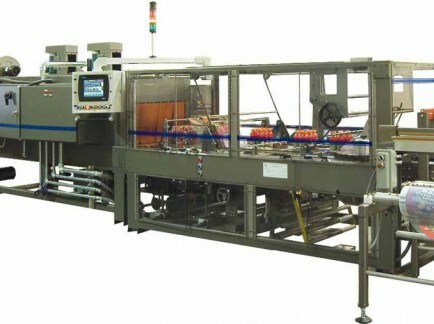 This bulk packaging system is an automatic vertical bagging packager that provides consistent and continuous production for many items that require bulk packaging including bottle caps, lottery pogs, puzzle pieces. 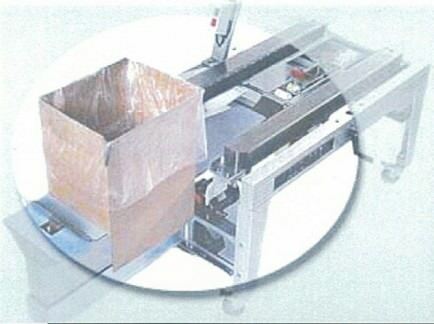 The bulk packaging system is easily interfaced with scales, counters and/or feeders for automatic loading. 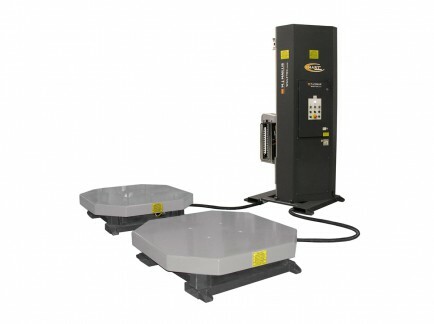 ARPAC's EL-2000 SERIES intermittent motion end-load tray/case packers are designed to serve a wide range of industries. 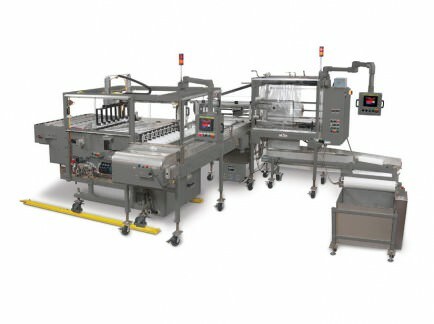 At speeds up to 25 trays/cases per minute, these rugged systems help minimize labor requirements and increase production output. 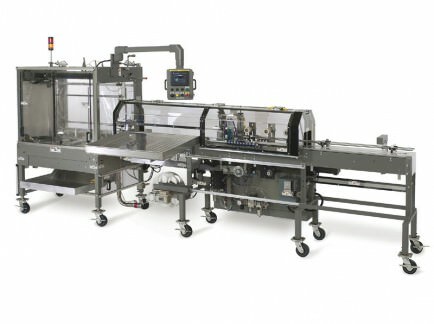 ARPAC's Model 25TW-28 tray wrapper is part of a dependable line of shrink packaging systems designed to service a wide variety of industries with around-the-clock reliability. 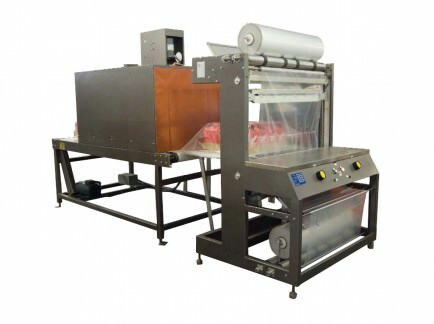 This compact and economical single frame shrink wrapper is capable of wrapping up to 25 products per minute, depending on product size. 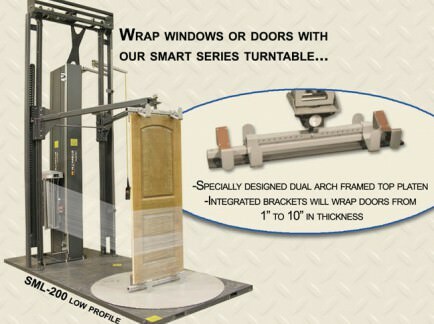 Non-conveyorized Heavy-duty, floor mounted stretch wrapping system. The Rennco Model CCL (cup counter / cup loader) will accept paper, thermoformed, and selected injection molded and foam cups. 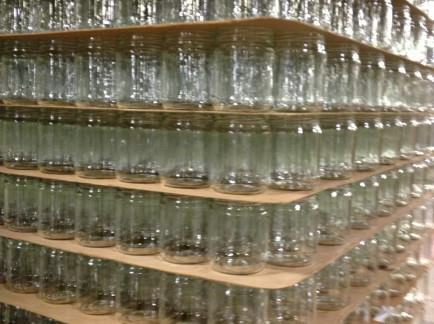 The Cup Counter / Cup Loader accepts a single line of nested cups from a continuous source. 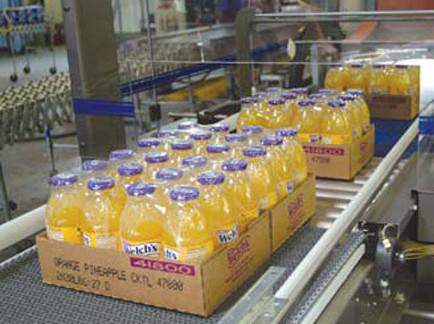 Cups are counted utilizing fiber optic sensors and are then transferred to a Rennco Packager via conveyor. Incorrect stack counts are automatically removed from the system for quality assurance. 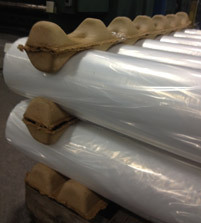 Wrap-around case or tray blanks can reduce the amount of corrugated board used by up to 25 percent, with additional savings in warehouse space and lower handling costs. 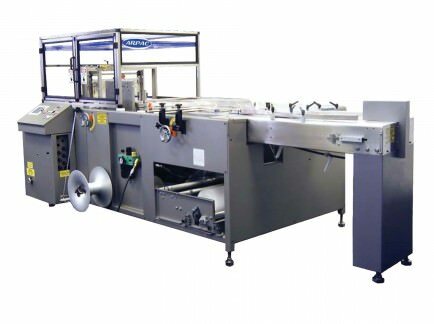 ARPAC's 45TW-28 tray wrapper is part of a dependable line of shrink packaging systems designed to service a wide variety of industries. 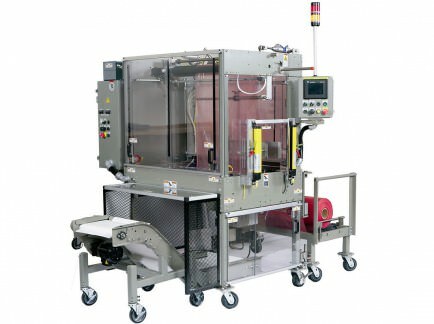 This compact and economical shrink wrapper is capable of wrapping up to 45 products per minute, depending on product size. 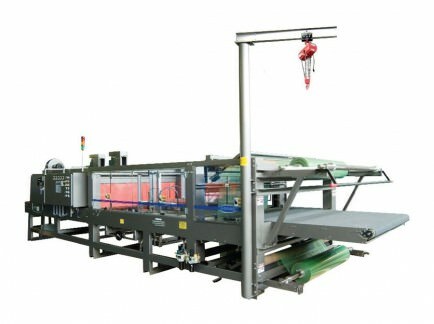 Low-profile SMART series semi-automatic stretch wrapper. 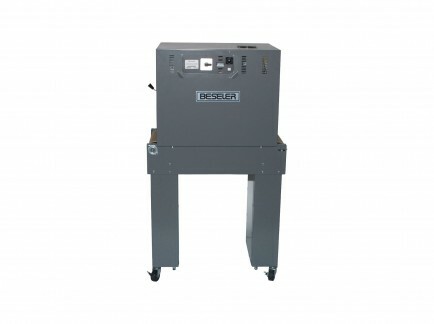 The Model 301 is available as a hand fed or automatically fed sealer that can run either polyethylene or polyolefin films without changing parts. 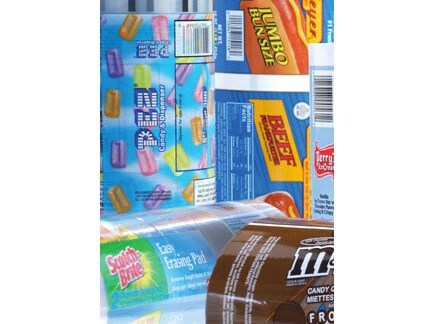 Substantial film savings are available when compared to premade bags and bags on roll systems. 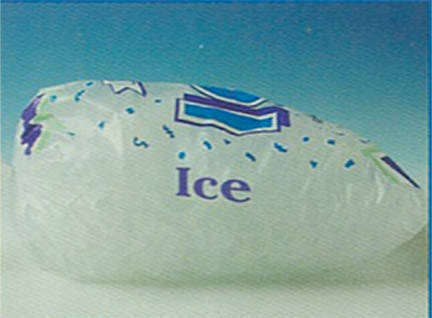 This model can produce a bag from 2" x 2" up to 18" x 24". The MCE-2210 Series is unrivaled in terms of quality, performance, reliability and usability. 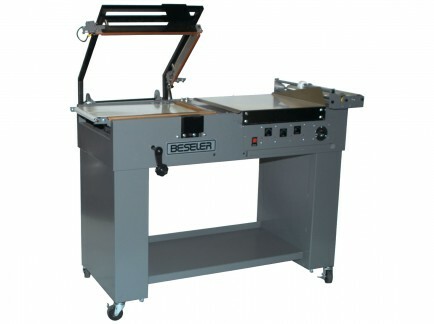 The Master MCE-2210 Series is a case former and bottom flap hot melt glue/tape sealer for assembling corrugated cases. 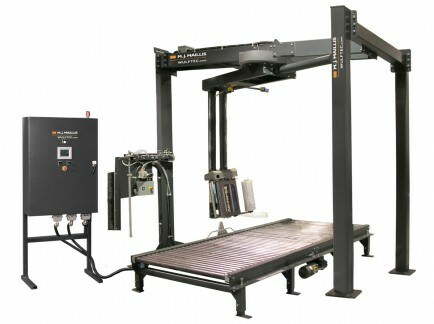 This system automatically selects, erects, and seals the bottom flaps of RSC and HSC cases at speeds up to 16 per minute. 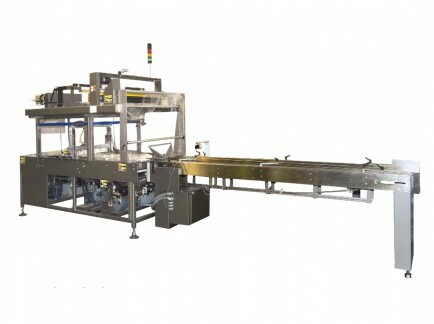 Conveyorized Fully-automatic Rotary Arm style strech wrapper. The Model 501 Vertical L-Bar seal is one of the larger models offered. 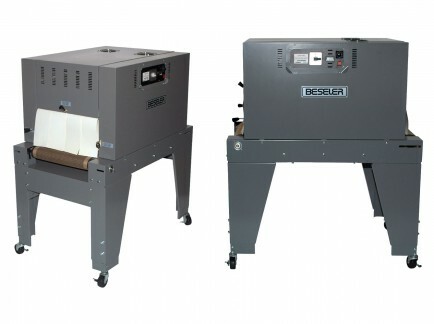 This unit benefits customers with substantial film savings versus pre-made bags on a roll. 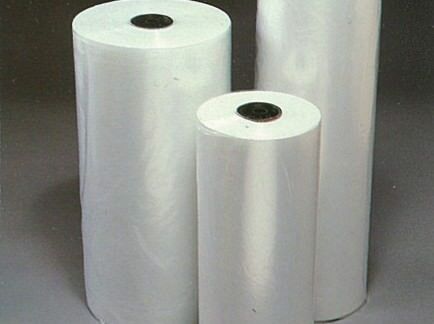 Especially on cylindrical products and products that are longer than they are wide - products like stacks of cups, bolts of cloth, curtain rods, etc. 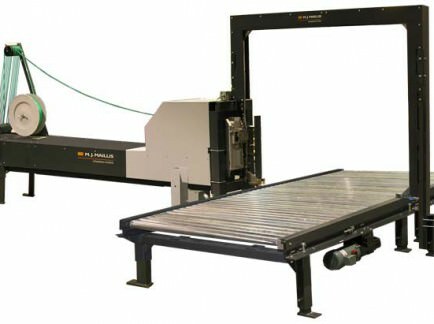 The Master MTE-1100 Series is an inline high speed tray former that automatically erects trays using a hot melt glue system at speeds up to 25 trays per minute. 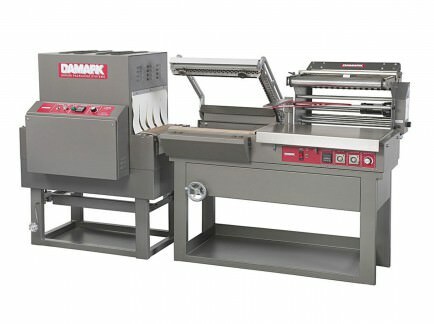 This system is ruggedly built and compact in size with simple tool-less adjustments between tray sizes. 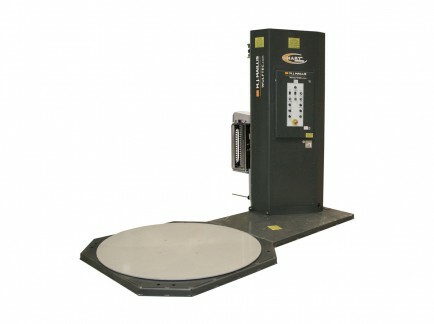 The MTE-1100 is used in a variety of industries and can be easily integrated with other packaging equipment. 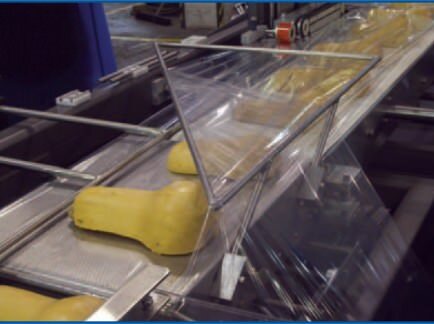 Conveyorized High-speed Heavy-duty stretch wrapping system to keep up with the most demanding applications. 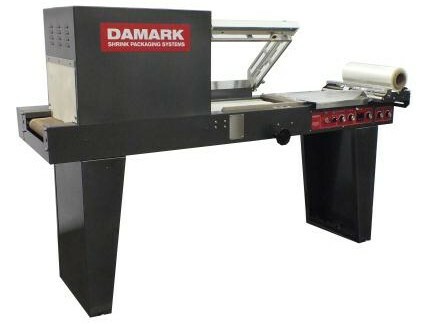 The Vertic-L provides a versatile, reliable solution for packaging a wide variety of common and unusual shaped items in bags up to 14" by 14". 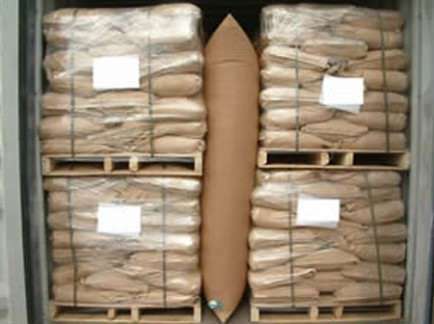 The small footprint Vertic-L which uses flat roll stock material, provides a cost-effective alternative to machines using pre-made bags. 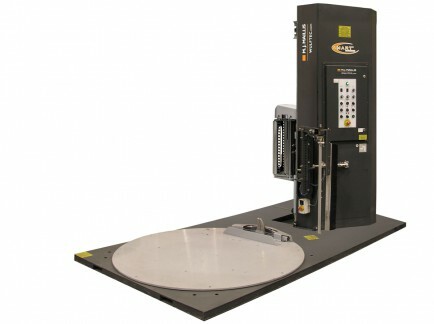 Conveyorized Heavy-Duty Fully Automatic Turntable wrapper capable of 70 loads per hour. 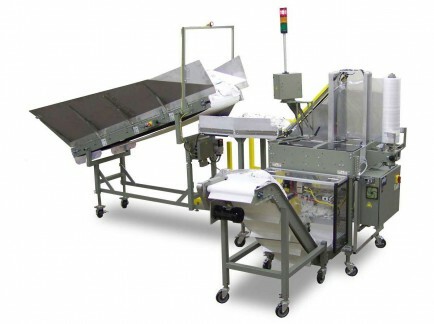 Rennco's Vertic∙L-PP laundry bagging system provides a reliable, versatile cost effective packaging solution to other roll stock systems or pre-made bag operations. 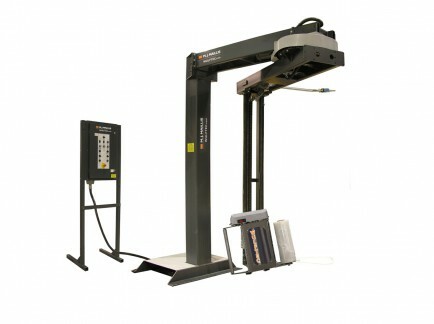 The Vertic∙L-PP system is equipped with a light screen cycling mechanism that counts the items per package; or can be equipped with a weigh scale option. 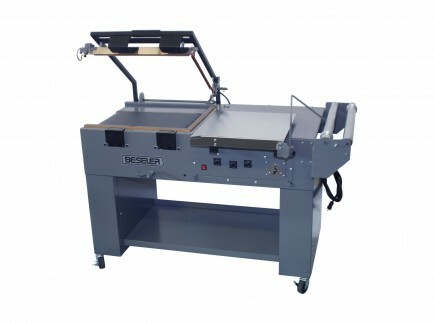 Fully-automatic stretch wrapping system that's extrememly affordable and easy to use. 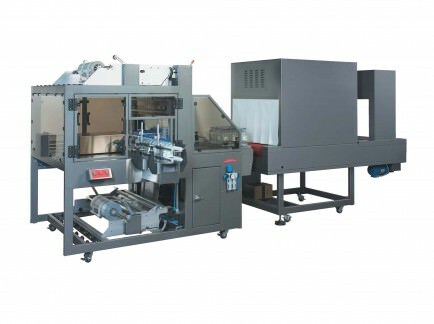 The Vertic-L-PP was modified to run 25+ designs of lids in multiple sizes, shapes and colors and bag them in counts from 10 to 50 per bag. 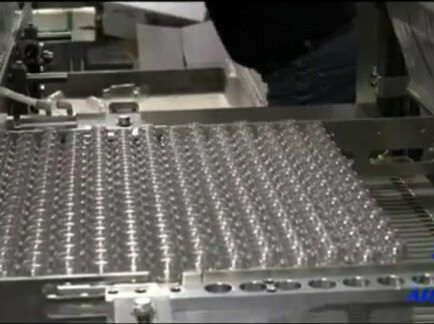 All of this being done fully automatically at line speeds up to 150 lids per minute. 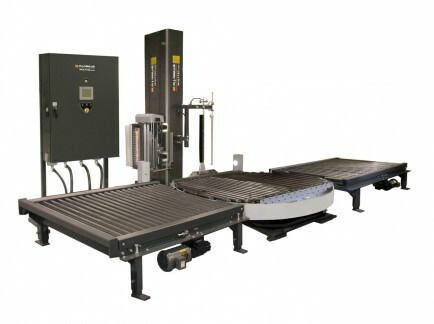 ARPAC's high-speed continuous motion TRAY STAR TS-2000 SERIES makes tray loading a variety of products fast and easy. 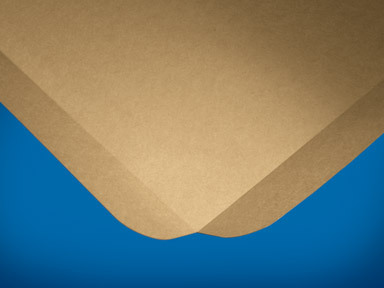 Wrap-around trays ensure that the product is enclosed in a tightly fit tray preventing scuffing and product damage. A rapid changeover option enables line operators to prepare the TS-2000 for a different product size in less than 30 minutes with ARPAC's color-coded lane spacing guides, user-friendly touch screen controls and servo-controlled groupers. 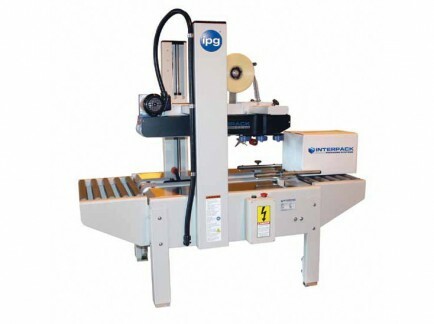 The TS-2000 SERIES handles a wide range of products with its many infeed options, and can be easily integrated with other equipment, including tray wrappers, turners and stackers. 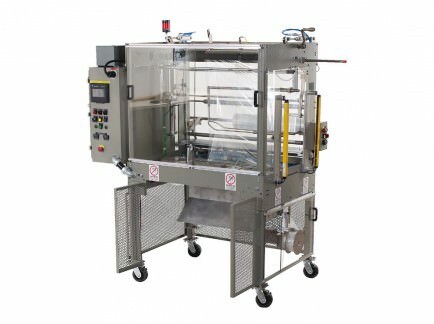 Other features include gentle product handling and loading to keep your product looking newly packaged. 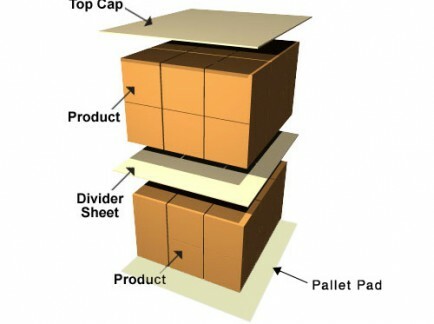 A variety of groupers accommodate different product shapes by separating products into pack groups and controlling the flow of product into the pacing flight bar assembly. 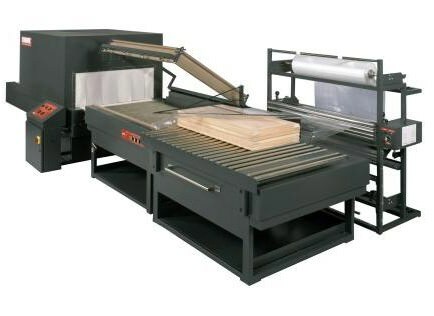 High-profile SMART series dual turntable stretch wrapper to increase production speeds. 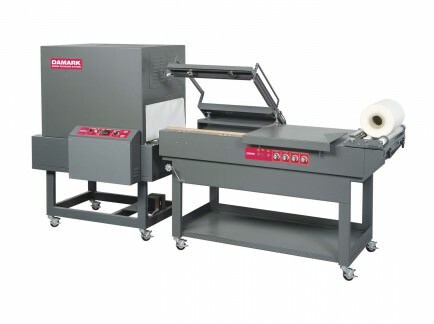 Intertape's UA Series Uniform Automatic case sealers are operator free machines that fold the top four flaps and process same sized RSC style cases. 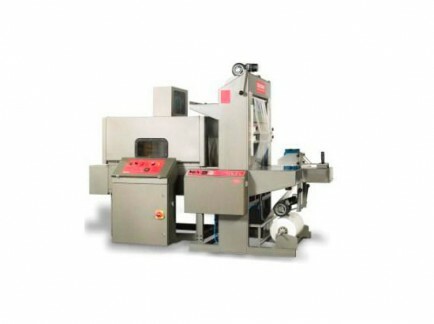 These machines are required when consistent production flow rates exceed manual processing ability or when automatic case packing is utilized. 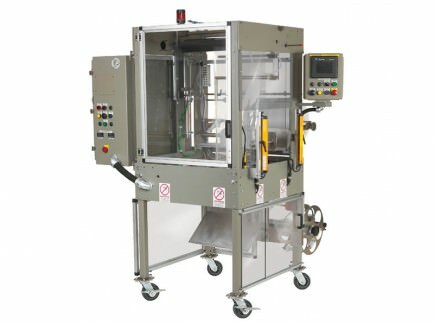 Interpack offers a UA Series automatic case packing machine for every application and budget. 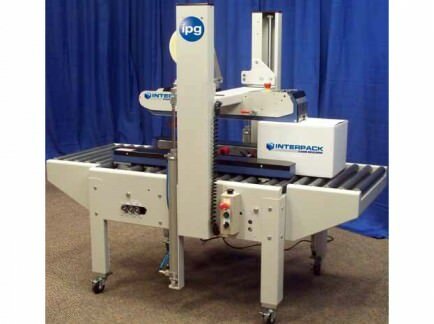 Interpack can customize to specific requirements such as line voltage, operation range or 4-flap pickup assemblies. Together Continental & Rennco offer any number of general or application-specific advanced technology packager upgrades. 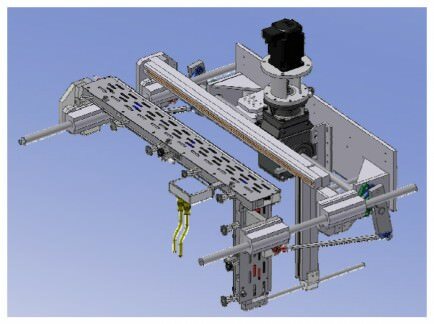 Some examples include; PLC and electrical controls, servo linear actuators, and seal assemblies, as well as adding basic packager options. 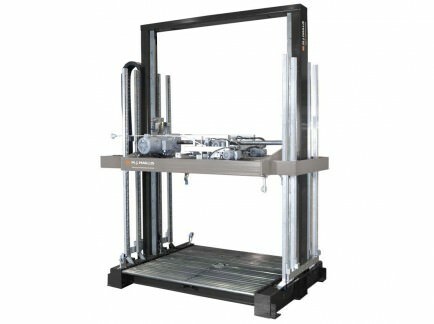 In addition, we can provide automation solutions by adding either standard or custom designed product handling equipment to your existing packager. 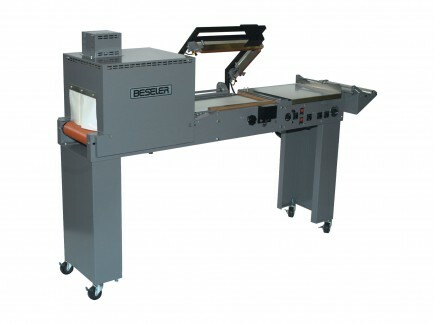 These include conveyors, product infeed mechanisms, and thermal transfer printers to name a few. 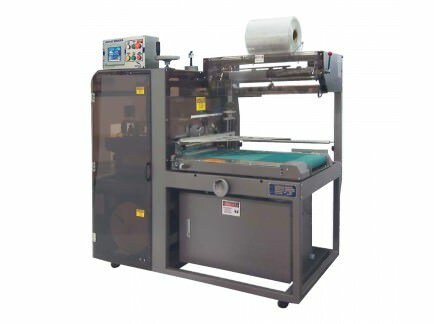 High-profile SMART series standard base semi-automatic stretch wrapper. 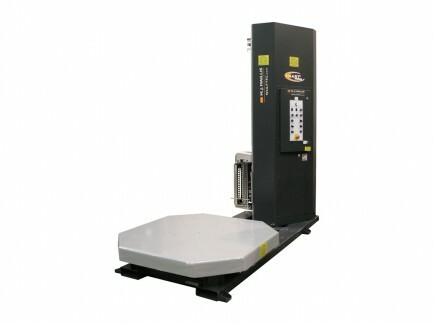 The 105 SERIES shrink bundlers are designed to handle large stacks of products with a “bull’s-eye” enclosure. 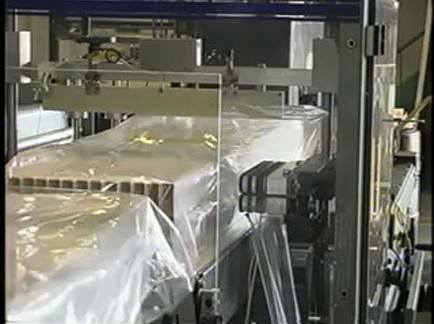 An optional side seal mechanism creates packages with a full enclosure for increased product protection during distribution. 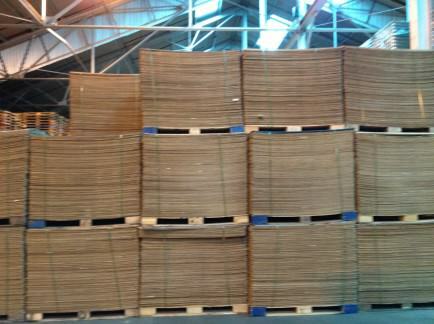 Typical applications include: stacks of pizza boxes, windows, doors, ceiling tiles, floor mats, wall panels and much more. The 105 SERIES accommodates a maximum film width of 89". 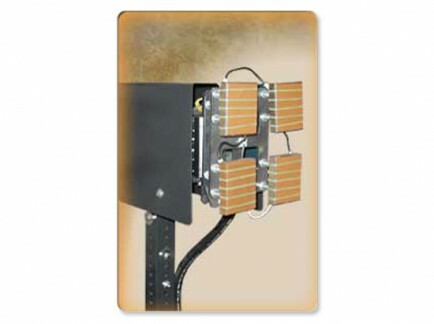 Rennco's new Low Energy Seal System is now available as a retrofit kit for most packager models. 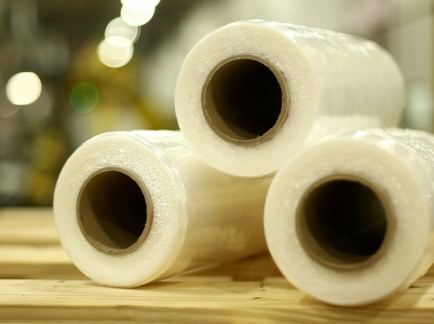 The seal system's two main benefits are reduced potential for poly build up and the elimination of Teflon tape. These factors increase the maintenance interval from days to months. 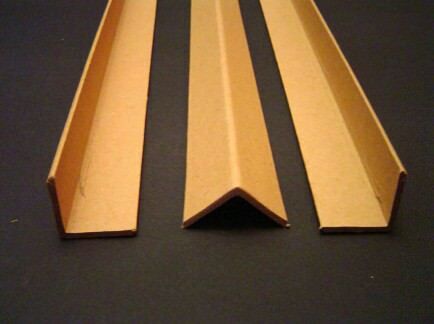 Low temperature seal bars make a narrow flat seal adjacent to the cut off which is done with a cold knife. The seal is consistent and is often cosmetically acceptable for retail packages. We fear no packaging challenge. 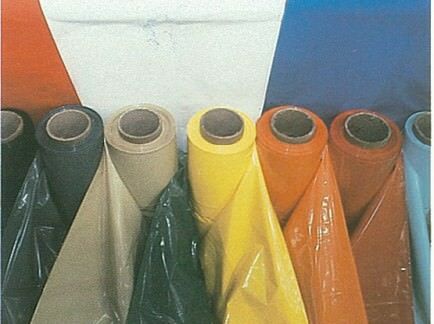 Continental offers a wide variety of Industrial Bags including bags on a roll, carton liners, automatic insertion bags, drum liners, pallet bags, pallet shrink bags, printed bags for tamper evidence, outdoor storage bags, Gusseted bags, medical bags for sterilization and many more options available. Please let Continental know your requirements. 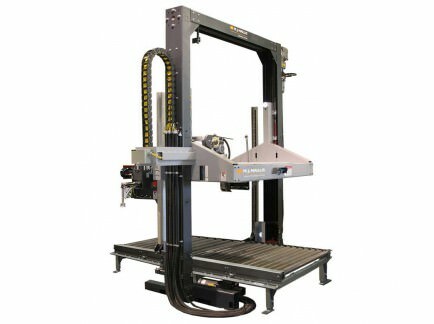 Continental & M.J. Maillis offers Strapping machines that are designed to work flawlessly even in the harshest conditions. 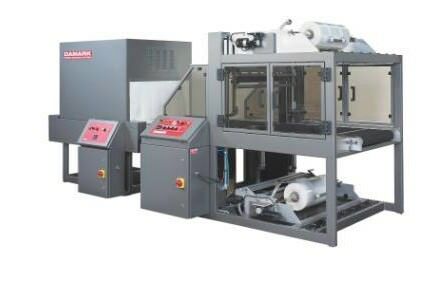 These machines are known for their unbeatable productivity, reliability and durability. 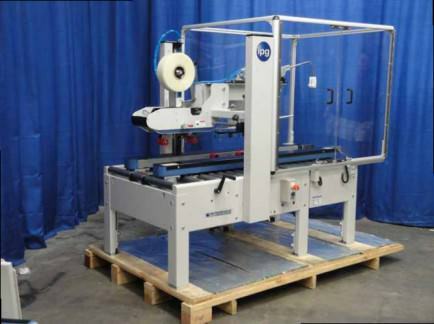 The VarioMaster 9440 is a high performance side seal strapping machine for boxes or pallet loads. 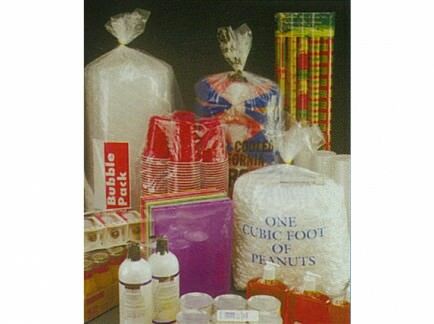 Continental will supply you with a wide variety of small bags including poly bags, wicketed bags, resealable bags, bags on a roll, poly tubing, small gusseted bags, postal bags, colored bags, shrink bags and many additional choices. 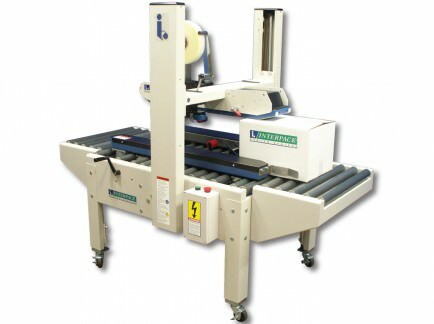 The VarioMaster 9460/9471 is an automatic high performance strapping machine for full pallet loads. 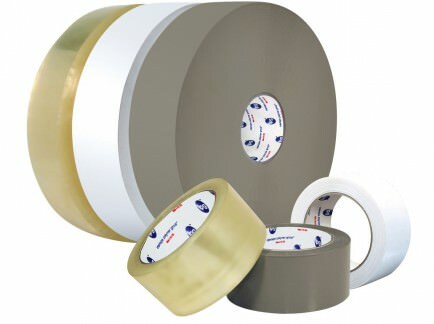 We have many sizes of tape available in a variety of colors. 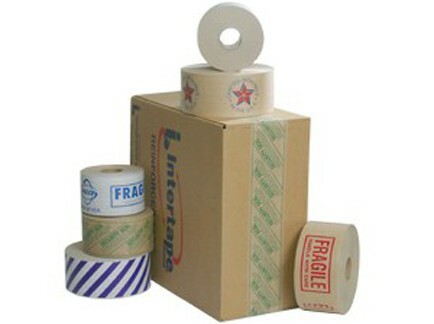 We can also provide tape printed with standard items or your specific information. 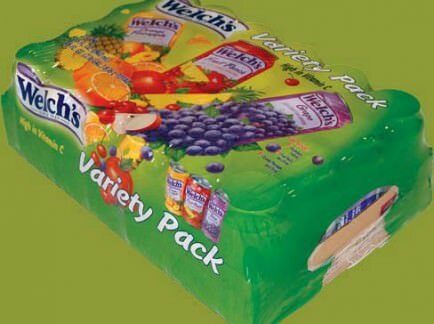 Continental offers centerfolded poly bagging film to create your own bags on F/F/S type machinery, shrink bags, barrier bags, vacuum bags, printed bags, vented bags, pallet covers, clean room, medical, ices and many others. Please let Continental know your requirements. 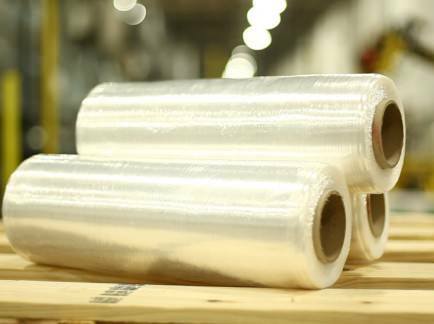 Designed to run on the fastest shrink bundlers available, this film has the necessary stiffness to run over 100 cases per minute. 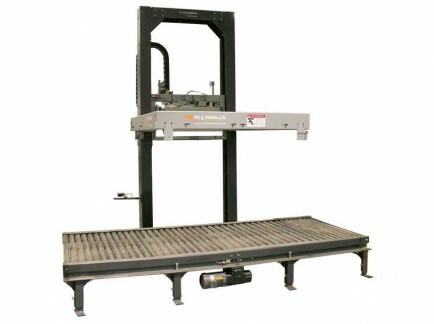 The VarioMaster9490 is a high performance automatic horizontal strapper designed to strap horizontal pallets and single layers. 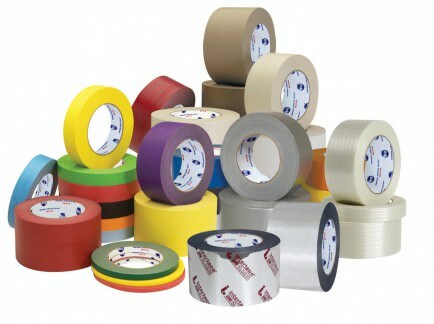 These include masking tape, flatback tape, duct tape, filament tape, splicing tape, specialty tapes and foil tapes. 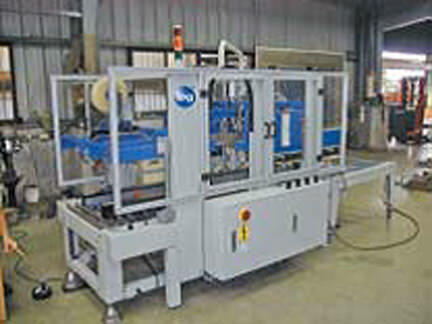 Designed to run on the majority of shrink bundling equipment in existence. 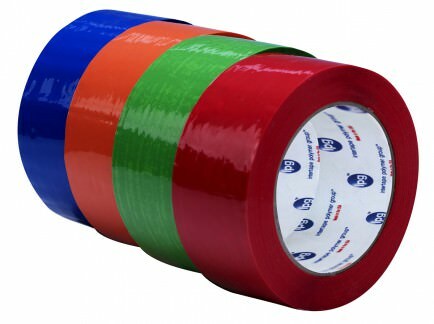 Available in a wide variety of widths, lengths and thicknesses we offer water based acrylic, hot melt and natural rubber carton sealing tapes. 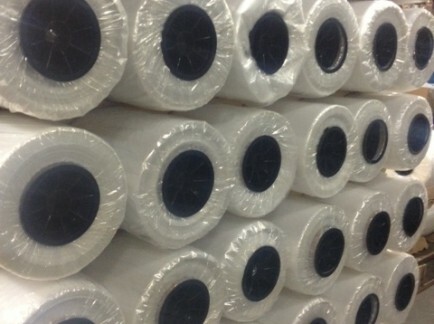 Include UVI, EVA, Metalocene, blends, printed, coextruded, tinting, opaque, oriented shrink characteristics, long length rolls, very narrow and short (low poundage) runs. 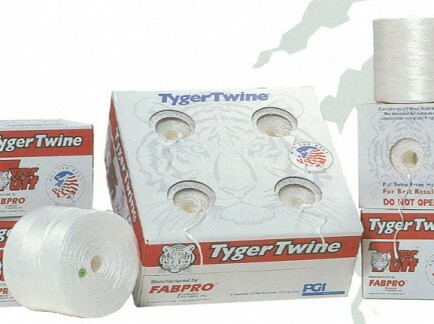 The PowerMaster is a strapping system specifically tailored to the corrugated and printing industries. 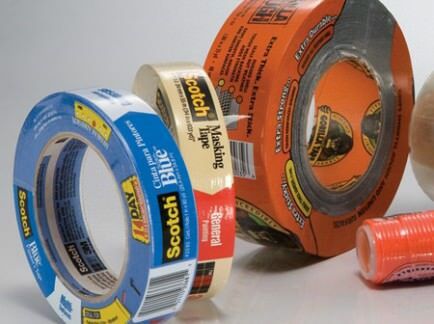 Available in a wide variety of sizes and product construction, reinforced tapes are designed to provide consistent performance in carton sealing applications where durability, extra strength and reliability are required. 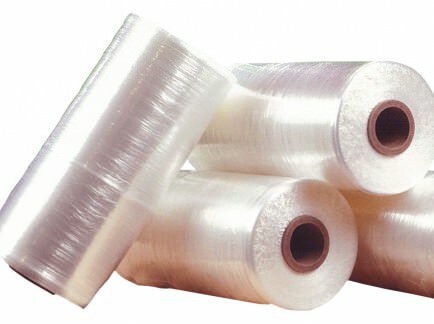 Extra strong fiberglass yarns are bonded between the high tensile strength sheets for an extra margin of strength. 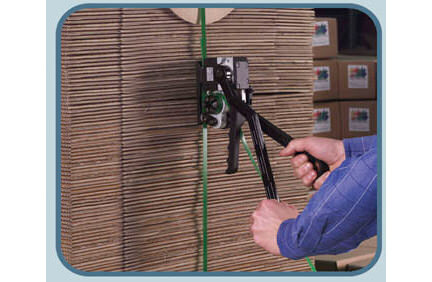 Polyester strapping is designed for light to heavy-duty palletizing and unitizing applications. Strapping prevents product shifting during transportation. 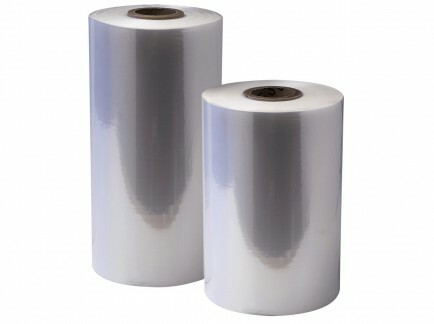 High clarity grades of film are used for printing and display type items. 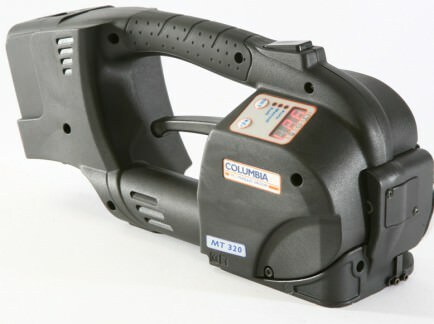 Continental & M.J. Maillis offer manual strapping tools. 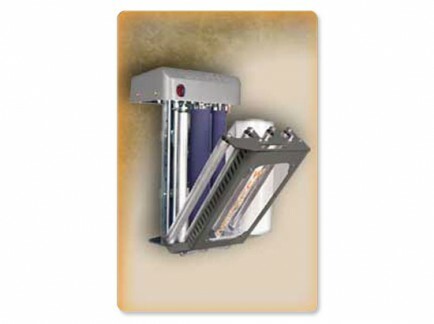 These machines are compact, versatile, and easy to use battery powered or pneumatic. By replacing metal strapping with cost effective PET strapping companies can lower their overall operating expenses. 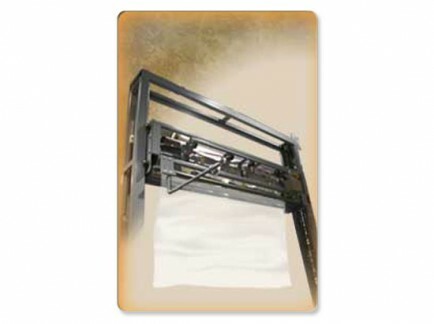 Retrofit a stretch wrapper with a NO-THREAD® 20" or 30" fully compensating film carriage. 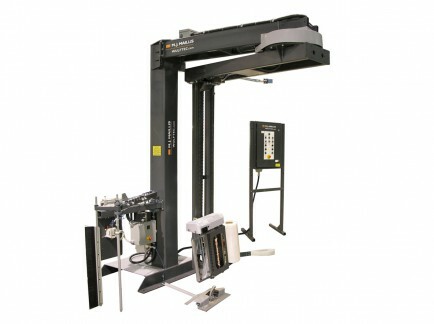 Retrofit a heat seal unit onto any automatic stretch wrapper. The unit is designed for easy installation along side a powered outfeed conveyor section. 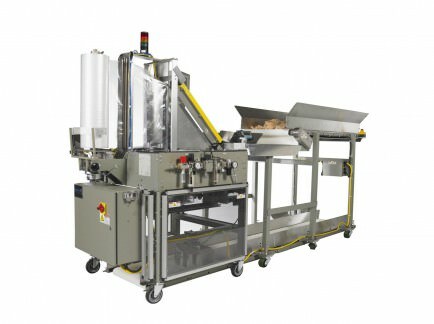 Retrofit an automatic in-line top sheet dispensing unit into an exsisting conveyor line.